Home weather stations have gained popularity in these past couple of years. There are more reasons to own one than ever before, especially when you consider the extremely volatile weather we are having today. At the same time, home weather stations are also getting more affordable, making them accessible to more households. 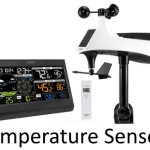 When it comes to affordable home weather stations, the Ambient Weather WS-2902 Osprey Weather Station is virtually unrivaled. 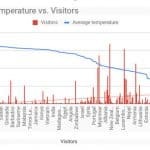 Ambient Weather, the company behind this weather station for home users, is a leading company in the affordable segment. The WS-2902 also comes equipped with all the features you need to get accurate weather readings. In fact, the Ambient Weather WS-2902 Osprey Weather Station does more than that. Aside from offering a complete kit of sensors and user-friendly interface, the WS-2902 also comes with smart features. Is this the device for you? If you want to read our buyers guide to the best home weather stations then click here. The Ambient Weather WS-2902 Osprey Weather Station is designed to be as user-friendly as possible. The kit itself requires little assembly, which means you can go through the installation process without jumping through hoops or dealing with complex sensor installation and calibration steps. The straightforward installation process starts with assembling the sensors together. There are only the anemometer and the wind vane to install, so this should not be a problem at all. Next, you add the funnel for the rain gauge, and you are all set. It took me longer to get the pole ready for this weather station than to actually assemble the device. Once installed, remove the protective stickers and the kit is ready for use. You can continue by setting up the desktop console, which is just as easy to do. 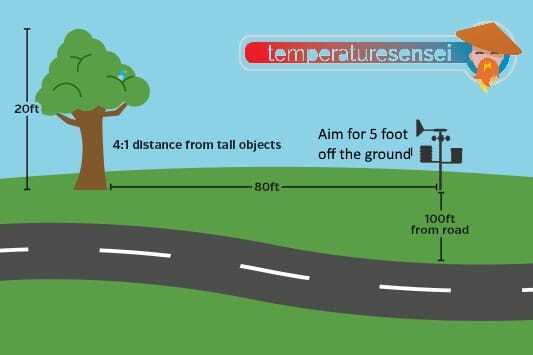 Even if you run into issues when installing the Ambient Weather WS-2902 Osprey Weather Station, you still have an easy-to-follow user guide to turn to. Regardless of the issues you may face, there is a solution inside the user guide; it will be in great detail too. Sticking with setting up the device, one of the features that stands out immediately is the fact that this device is completely wireless and supports Wi-Fi connectivity. The sensors connect to the main console using RF frequency. You don’t have to run long wires to get the device connected to the internet. Set the device up to use your existing Wi-Fi network and you can connect the WS-2902 with other devices in your network. It doesn’t stop there. Ambient Weather also has an iOS and Android app that works really well with the WS-2902. You cannot monitor the weather readings directly from the app, but you still have the ability to share the readings with other apps. In fact, you can integrate the Ambient Weather WS-2902 Osprey Weather Station with your smart home system. We will get to this shortly. The WS-2902 measures a few metrics, including interior and exterior temperature. It also measures humidity, rainfall, barometric pressure, and wind speed and direction. What’s interesting is the included UV and solar radiation sensors. These sensors are normally only available in higher-end kits, but Ambient Weather added them to the WS-2902 nonetheless. This makes the device great in terms of value for money. The list of features goes on with WS-2902’s ability to withstand extreme weather. As long as you mount the sensors correctly, you don’t have to worry about the sensors getting damaged when exposed to the elements. The kit has a nice balance between durability and accurate sensor reading, and this is a special feature considering the WS-2902 is reasonably priced. Even the main console has a large screen with good readability. Ambient Weather designed WS-2902’s user interface to be clean and concise, which is something you want from a home weather station. Readings are displayed in a clear way and you can always tell the kind of weather to expect from glancing at the screen. Of course, a home weather station is only as good as the readings it produces. In the accuracy department, Ambient Weather WS-2902 Osprey Weather Station does not disappoint. Variations can still be seen at times, but the readings are more accurate than other devices in the same price bracket. Updates are sent to the main console every 60 seconds too. The only downside to going with the WS-2902 is not being able to upgrade your kit. The kit may come with all the sensors you will need to get accurate readings, but you cannot add additional sensors to the kit in the future. Once again, this is a standard with home weather stations in this price bracket. Upgradability is usually reserved to higher-end models such as the Davis Vantage Vue. Still, there is a solution to this lack of upgrade options with the Ambient Weather WS-2902 Osprey Weather Station. 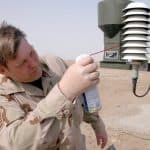 You can actually get additional internet-enabled Ambient Weather kits or stations, and simply connect multiple kits through Ambient Weather’s weather monitoring system. With every device you purchase, you also gain access to AmbientWeather.net. As long as the devices are connected to your home Wi-Fi network, they can upload readings to the cloud. You can then use the data in the cloud to monitor multiple areas around the house or perform other more advanced things. That brings us to our next point, which is…. 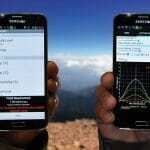 We mentioned the iOS and Android apps available for the Ambient Weather WS-2902 Osprey Weather Station. Those apps aren’t designed for remote monitoring. Instead, they serve as a way to fully take advantage of the smart features that come with the WS-2902. 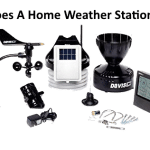 From the app or via the AmbientWeather.net website, you can integrate your Ambient Weather WS-2902 Osprey Weather Station with other smart devices, including your Google Home and Amazon Echo smart hubs. Regardless of the smart home system you use, there are a lot of things you can achieve with the help of the Ambient Weather WS-2902 Osprey Weather Station. With the WS-2902 connected, for example, you get the actual weather in your area rather than weather from stations near you when you ask Google Assistant or Alexa for the forecast. The AI assistant automatically gets the latest weather data when you ask. Using commands such as “what is the weather at home?” you can also get weather reports while you are away. The data coming from the WS-2902 can also be used to perform other tasks. Rather than using time to turn on or off interior and exterior lights, it is now possible to turn them on when it gets darker due to clouds or heavy rain, even when sunset is still a few hours away. The same can be said for when you have smart sprinklers installed; they can be turned off automatically when it rains. The WS-2902’s ability to integrate seamlessly with smart home systems is class-leading. In fact, the only other device that offers this level of integration with smart home features is the Netatmo. Even with Netatmo, which touts itself as a smart weather station, the integration with Google Home and Amazon Echo isn’t as seamless and useful as what the Ambient Weather WS-2902 Osprey Weather Station offers. There is an option to also integrate the WS-2902 with other systems, including cloud services. The home weather station natively supports IFTTT (If This Then That). You can create your own recipes or use one of many already available on the automation website. Adding an email notification and automatically sounding a smart alarm in the event of extreme weather changes are easy to do. The Ambient Weather WS-2902 Osprey Weather Station is a valuable device. For the price, you get all the sensors you need as well as a long list of features you can benefit from, all in a compact and user-friendly package. Ambient Weather made this weather station very capable with its use of RF radio and Wi-Fi. The lack of cables certainly makes installing the WS-2902 easy. The same user-friendliness can be seen across the user experience of this device. 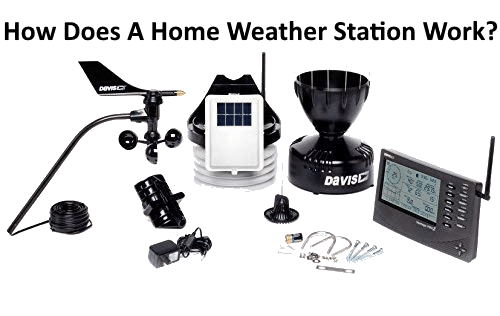 You don’t have to worry about running into issues or not being able to get the device up and running even when it is your first home weather station. On the other hand, you can dig deep into the WS-2902’s advanced features if you want to. The wireless features and seamless integration with smart hubs and services are class-leading indeed. You cannot find another device that incorporates Google Assistant and Alexa at the level that the WS-2902 manages to achieve, which says a lot about this device being designed for home users. You certainly cannot find this level of integration for the price. Ambient Weather tops it all off with a set of after-sales conveniences. The user guide is very easy to follow, and you always have a capable customer support officer within reach should you run into issues with your device. 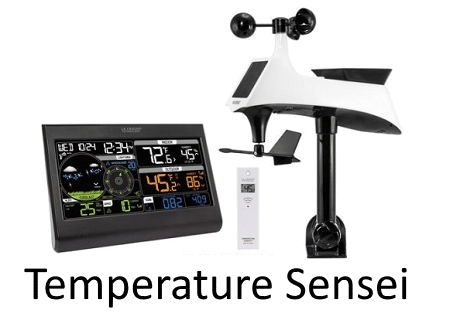 When you take all of these factors into account, it is easy to see why the Ambient Weather WS-2902 Osprey Weather Station is so popular on the market. 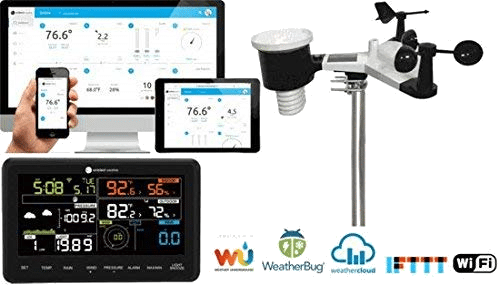 If you are in the market for a reliable, accurate, and easy to use home weather station, the Ambient Weather WS-2902 is the one to get.